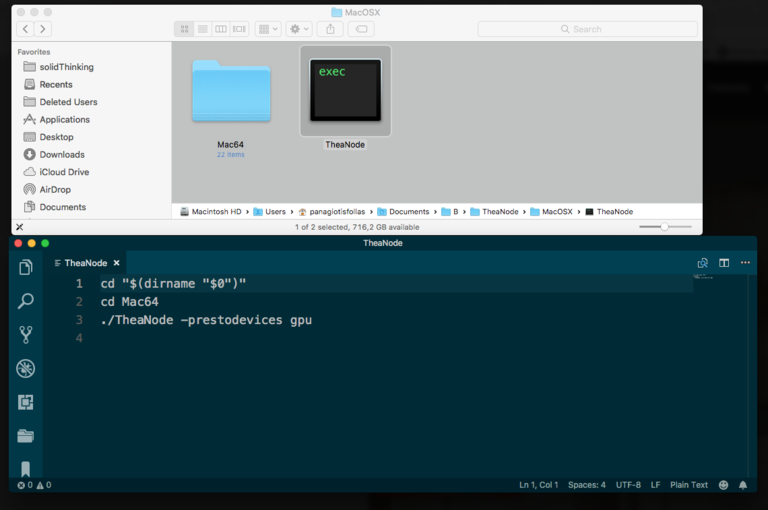 Thea Node is an auxiliary network utility software for rendering. The application runs as a console application and does not have a user interface. A Thea Server is needed for it to work. Download the Thea Node application from the Downloads page. Installing it on every machine on your network acting like render nodes. Start the Thea Node on all the render nodes. A console window will pop up waiting for instructions (scanning local network for projects) from the server in the local network. Open SketchUp, Rhino or Cinema 4D. Start rendering in Production Mode. Open the Thea Rendering window. Switch to the Rendering Tab in the Settings Panel. Enable network rendering from the Network Rendering section. Open Render Settings and select Thea Render. Go to the Distribution section of the General tab. 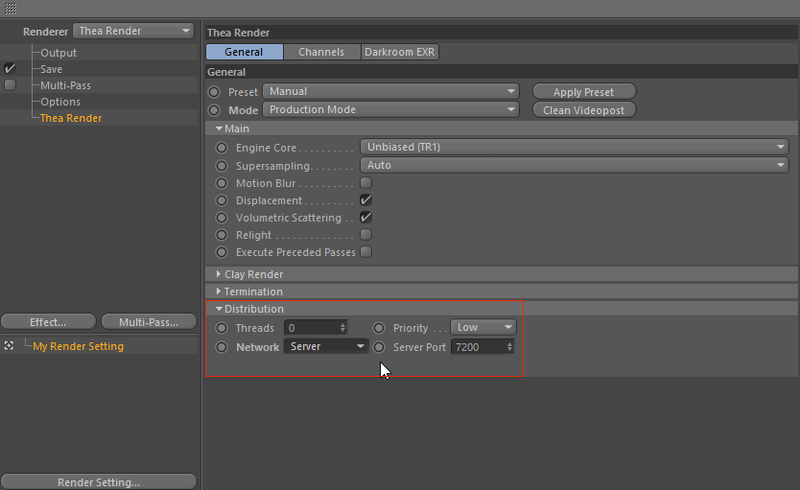 Enable network rendering by selecting either Server or Pure Server from the Network drop-down. 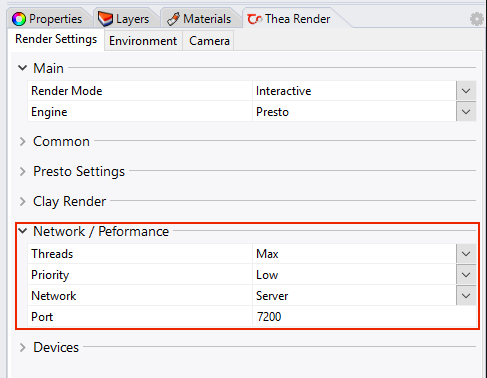 Go to the Network / Performance section of the Render Settings tab.